The Liberty 3-1/2 in. Satin Chrome Brass Wire Pull adds contemporary style to cabinets or drawers. The clean-line design complements traditional and casual home decor. Easy to install. The Liberty 2-1/2 in. 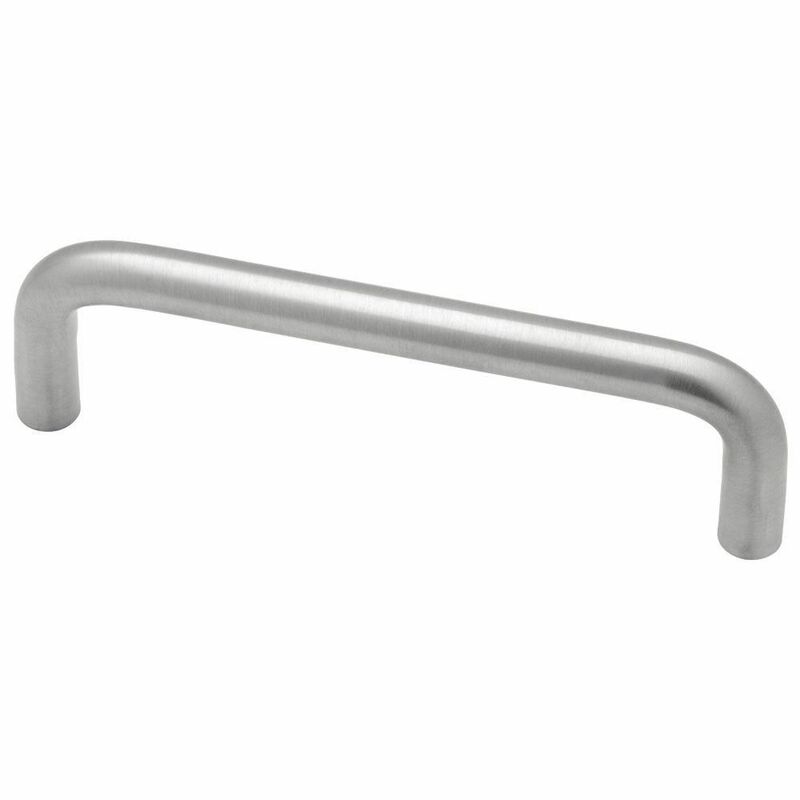 Matte Nickel Pinstripe Pull features an attractive matte finish ideal for use with bathroom or kitchen cabinetry and furniture. Update your cabinet hardware to give any room a new look and feel. Mounting hardware included for easy installation. The Liberty Wire Pull gives your room an understated finishing touch. The simple design coordinates with a wide variety of décor styles. Also ideal for furniture or home office use. The Liberty Arched Pull features a sleek linear curvature to add a soft contemporary look and feel to your kitchen or bathroom cabinetry. Crafted from high-quality zinc die-cast for quality and durability. Mounting hardware is included for easy installation. The Liberty 3 in. Polished Brass and Red Oak Insert Spoon Foot Pull is a fusion of traditional and modern styles. It features a 3 in. center-to-center, rear-mount design for easy installation. The metal base material is built to last and is covered in a handsome polished brass finish. 3 1/2 in. Wire Pull The Liberty 3-1/2 in. Satin Chrome Brass Wire Pull adds contemporary style to cabinets or drawers. The clean-line design complements traditional and casual home decor. Easy to install. 3 1/2 in. Wire Pull is rated 4.5 out of 5 by 2. Rated 4 out of 5 by tol82go from Good Product Nice quality pull handles. We are using them in an industrial setting and they hold up very well. Rated 5 out of 5 by Bill from Just what I needed for my do-it-yourself job. Good no nonsense product. Well that's all you got to get!